Get the internet your business deserves. 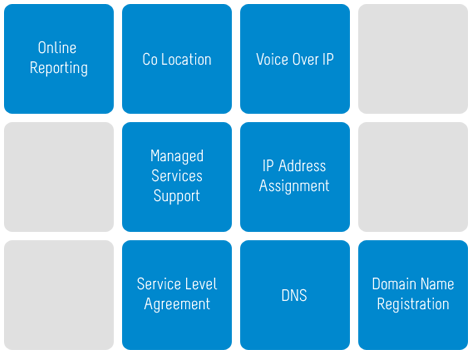 Our Dedicated Internet Access (DIA) is designed especially for organizations that require direct connection into the heart of the Internet. 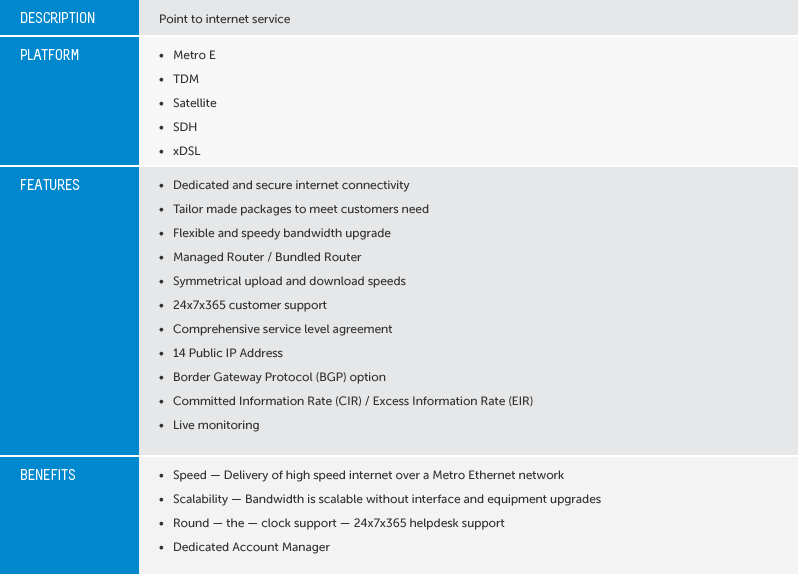 Utilizing either leased line or Metro-Ethernet circuits with an optional wireless line back up, the Extreme DIA service provides a robust connection to the global public Internet infrastructure with minimal latency and high throughput for all end-users. With our various partnerships with Tier 1 carriers around the globe, we now have access to most of the major cable systems around the region. Our precious cargo (your internet traffic!) has access to cable systems like C2C, EAC, SMW3, SMW4, AJC, Unity, AAG, SJC and TGN, just to name a few. 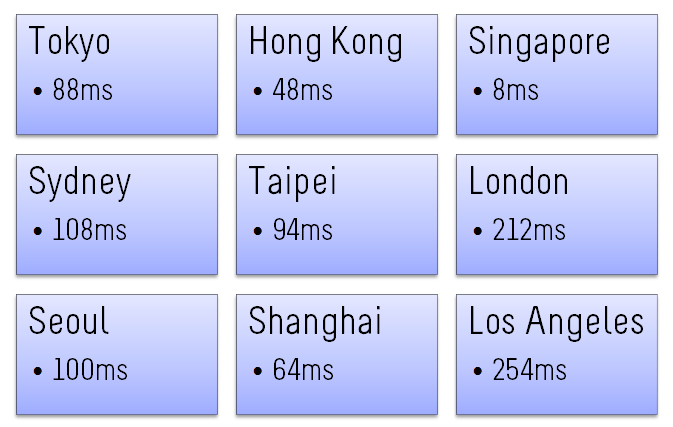 Our round trip latencies to some of the major regions. Work or Play, We're There for You! Whether you use the internet to check emails, update reports on your international HQ intranet, downloading and reading research papers, streaming a video on YouTube, having a video conference with your International partners or just updating your status on Facebook; we’ll deliver these traffic at incredible speeds. With our peering to major research networks around the globe (AARNET, SINGNET, JANET, MyREN) and also to most of the major content providers (Google, Facebook, Amazon, Yahoo, MSN), we’re sure that your internet experience with us will just always be awesome!